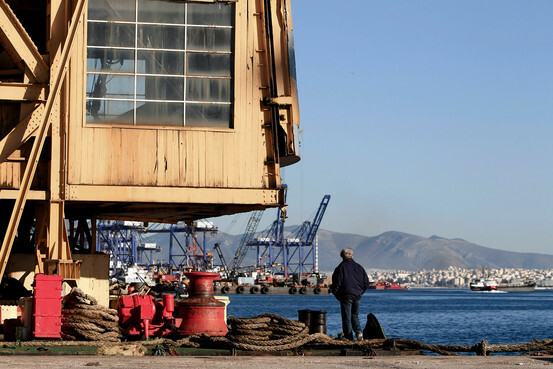 PERAMA, Greece—Most weekdays, Thanassis Tziombras, a 50-year-old worker at the shipbuilding zone here at the main Greek port of Piraeus, is up before dawn and out looking for work by 6 a.m. Some 40 minutes away, in the posh Athens suburb of Psychico, Constantinos Tsimas, a 54-year-old U.S.-educated marketing consultant, wakes up to another day of working the phones and emails seeking clients. There is a social gulf between these two men, but they are united in one thing: the financial and psychological struggle that comes with being older and unemployed in a country where the economy has shrunk by almost a quarter in six years. Greece’s economy has taken such a brutal beating that it is in a category apart from other European countries suffering through the recession. Where Greece lost some 25% of its economic output, Spain lost about 6%. Experts say that, even as the Greek economy begins to recover, the shock has been so severe that older workers are unlikely to ever hold full-time jobs again. Unlike in other parts of Europe, Greek reforms have largely removed provisions that protected older workers. In Spain and Italy labor-market regulations favoring baby-boomers over their children are still largely in place, entrenching the so-called two-tier labor market. But in Greece, everyone seeking work largely faces similarly poor odds, said Raymond Torres, head of research at the International Labor Organization, the United Nations labor agency. While Greece’s youth unemployment is still a record for the EU—almost 60% of people aged 15 to 24 were out of work in 2013—the unemployment rate among older Greek males is about twice the euro-zone average and almost four times that of Germany. 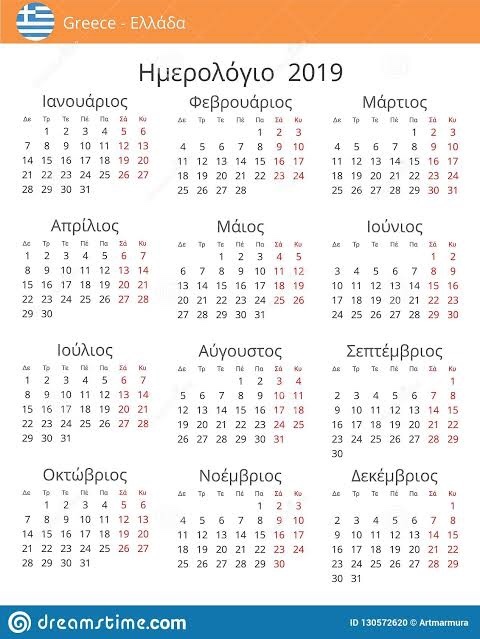 Some 18% of 40-to-59-year-old Greek men were out of work last year, according to Eurostat, the European Union statistics agency. In the U.S. where the recession set in sooner than in the EU, the unemployment rate for men in this age group peaked at 8.2% in 2010 and has been declining since to reach 5.7% in 2013. One in five jobs lost in Greece between 2008 and 2013 was from the middle-aged male group. The Spanish equivalent was one in eight. In Italy, middle-aged men actually added jobs in the recession years. Greece’s older men are more often families’ sole breadwinners. Female employment rates here, at 43.3% in 2013, are the lowest in the EU, where the average is 62.5%, according to Eurostat. Recent pension reforms, meanwhile, mean older Greek men who have lost their jobs could be looking at several years of no income. Greece has increased the retirement age to 67 for both men and women, changing a decades-old system that allowed some categories of workers as young as 55 to retire on a full pension. “If they don’t have a job and they have to wait so long for a pension, what are they doing in the meantime? They are at serious risk of poverty,” said Anne Sonnet, a senior economist at the Organization for Economic Cooperation and Development, a Paris-based think tank. In Greece, with its macho, traditional culture, unemployed men are at risk of depression, says Dr. Kyriakos Katsadoros, a psychiatrist and the science chief of Klimaka, a suicide-watch nongovernmental organization in Athens, who also noted risks of alcoholism and domestic violence. “We were used to providing for our families through honest work. We were proud of our work—now we’re just ashamed,” says Mr. Tziombras, counting his worry beads between his fingers. He is sitting in an old classroom on the port now used by the Communist-led laborers’ union here. “Don’t kill the mosquitoes—it’s others who are sucking your blood,” is written in chalk on the blackboard. He says the union, apart from political guidance, provides “solidarity and psychological support” to workers. The shipbuilding zone at Perama in Pireaus, once buzzing, is now a wasteland of idle cranes and scattered ship parts. Men sit in cafes waiting for word that a vessel has docked for maintenance and is in need of day workers. At its peak in 2008, 6,500 men worked here. The shipbuilding industry retains workers on a daily rate as opposed to hiring them as staff, but in 2008 there was so much demand that these workers were effectively employed full time. In the good years, they would take home a net daily salary of about €70, or about $95. They haven’t agreed to cut this rate, despite calls by employers’ associations. Today, about 1,000 workers remain, doing sporadic work. Mr. Tziombras says his wife managed to find a job as a cleaner at a local school, bringing a few euros into the household budget, but their relationship has been strained by the financial woes. Economists say it is a growing trend in Greece for women that didn’t previously work outside the home to take jobs as their spouses lose theirs. Late last year he drove across the country to get a few days’ work at a factory. He has been doing odd jobs at construction sites around Piraeus and Athens, and continues to show up each morning at the port ready for work. The last time he got a job was for three days in January. “We have gone through our savings, we’ve sold everything we owned, we stopped any nonessential activity,” Mr. Tziombras says. A law against foreclosing on primary homes means that he isn’t likely to lose his home because of mortgage arrears, although he frets the provision may soon be revised. His two children, 17 and 22, are in high school and college. They will continue to depend on him for years, he predicts. Concerns are in some ways similar in Mr. Tsimas’s wealthier neighborhood. Shame at being out of work is the first thing mentioned. “It’s socially shameful but, more than anything, I was ashamed because I had to ask my wife for money,” Mr. Tsimas says. His wife brings home a good salary from her investment-banking job, but the loss of income from his work still hit the family budget, which supports one child at a British university and one in a private school. He, too, has turned to politics and voluntarism to feel useful—although a very different brand to communist Mr. Tziombras and his labor-union activism. Mr. Tsimas is a member of Drassi, a liberal political party that seldom gets more than 1% in elections. He runs an online forum with friends where they debate about the economy and politics. For all the shared experiences of shame, financial struggle and family strain, the bottom line for the two men is very different. Still, his material concerns are not about survival. Mr. Tziombras says he has given up on all of the smaller joys of life for him and his family, like dance classes for his daughter or the occasional night at the movies with his wife. It’s now all about subsistence. “Cutting everything that’s not food turns the workers into animals,” he says.